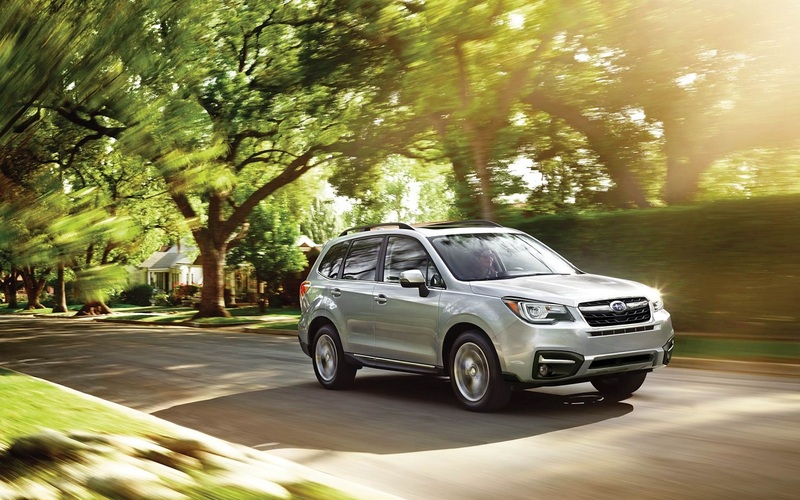 If you are ready to buy a quality crossover SUV that has true style and functionality, a closer look at the popular Subaru Forester is in order. This compact crossover SUV has been available since 1997, and it is currently in its fourth generation. 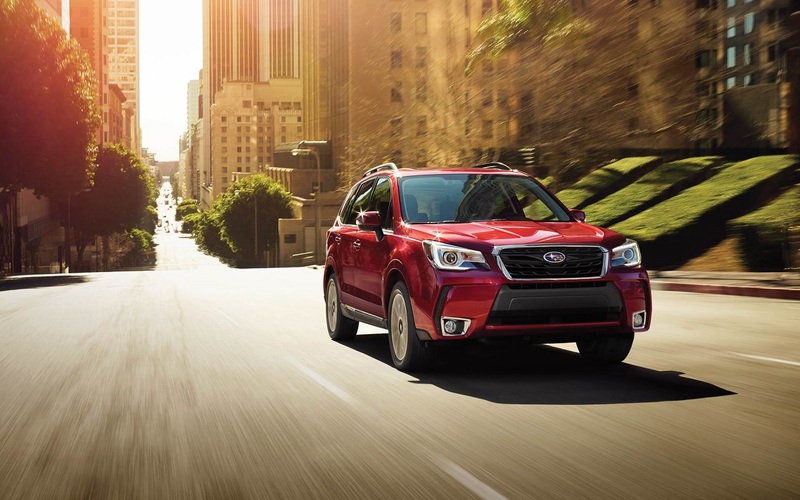 The 2018 Subaru Forester is an excellent option for many drivers because of its overall great features and stunning design, and Subaru has made exceptional updates to the 2018 model that you should learn about before you decide which model year and trim level to purchase. For drivers in Boulder Colorado who want to make a thoughtful SUV buying decision, it is beneficial to compare model differences before visiting Flatirons Subaru serving Boulder Fort Collins Denver. Between the 2017 and 2018 Subaru Forester models, very few changes have been made to the exterior. All trim levels for 2017 and 2018 continue to boast a more curvaceous and athletic look than older models had. The front fascia has an angular, sleek look that beautifully complements the rest of the exterior. Fog lights or flaring air intakes below the angular headlights add to the functional look of the SUV. The five-door design makes it easy to access the spacious interior. The look of the SUV is enhanced with 17 x 7-inch alloy or steel wheels and all-season tires. One of the most noticeable differences in the exterior is that the 2018 Premium trim level is now available in a Black Edition package as an upgrade option. This package is available silver, gray, black or white exterior colors. It comes with 18-inch black alloy wheels, black interior and LED adaptive headlights. Whether you want to select your preferred exterior color or look at some of the exterior optional upgrades available, your dealership in Boulder Colorado is a great resource that you can rely on. When you compare model differences between the 2017 and 2018 Subaru Forester, no significant improvements to the interior design or features are revealed. Both model years for the Forester are available with black or gray interior, and cloth is the base material in most trim levels. The instrumentation panel and dashboard have a modern look with a functional design that makes this SUV a pleasure to drive on a daily basis. 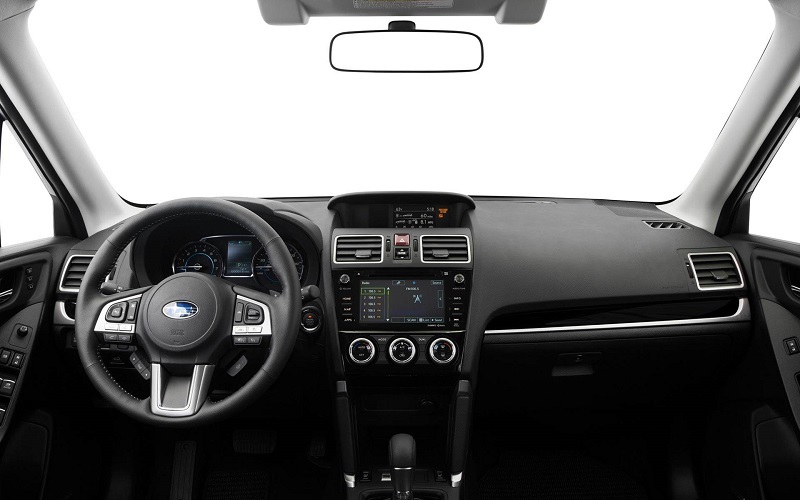 A few of the many interior features in the Forester include climate control, cruise control, audio and cruise buttons on the steering wheel, a backup camera, power steering, power door locks and windows, heated side mirrors, a sound system and other features. For both model years, this sporty SUV is available with an extensive range of upgrades that you can choose from for customization and improved functionality. SUV buyers can explore the interior design and the standard versus optional features for both model years at the dealership in Boulder Colorado. This SUV model is known for its robust performance for city and highway driving alike. 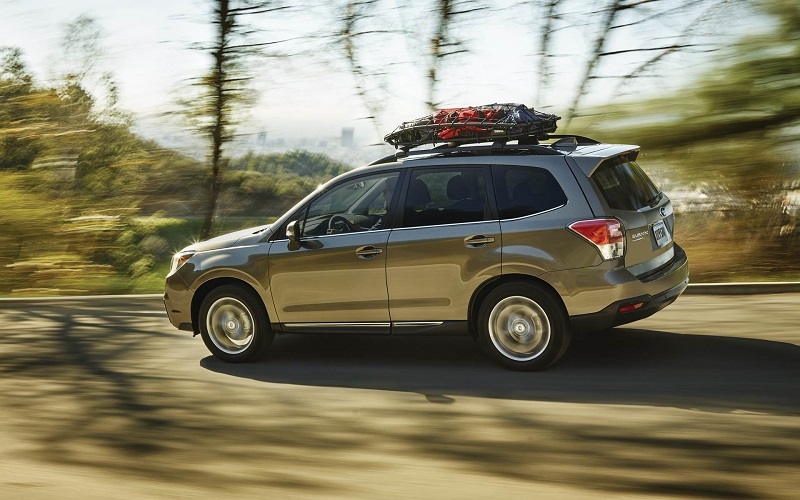 Drivers in the Boulder area who are thinking about buying either the 2018 or the 2017 Subaru Forester will love the fact that Subaru has not made significant improvements to the 2018 powertrain and mechanical features. Most trim levels available for 2017 and 2018 come with a 2.5-liter, four-cylinder engine that offers 170 horsepower and 174 foot-pounds of torque. This engine has a horizontally-opposed design, which Subaru is known for. This design is also in the 2.0XT engine, which is a 2.0-liter turbocharged, four-cylinder engine. If you opt for a 2.5i standard or a 2.5i Premium trim level, your vehicle will come with a six-speed manual transmission, or you can upgrade to a continuously variable automatic transmission. Keep in mind that all models include a center limited slip differential, a front and rear stabilizer bar and an independent front suspension system. When you compare model differences for safety ratings, you will discover that both the 2017 and the 2018 model years have exceptional ratings for safety from the IIHS and the NHTSA. This includes registering with five stars for the NHTSA's overall safety test and receiving a "Good" score for all five IIHS safety test categories. For both model years, the EyeSight safety feature has been available. It includes lane departure warnings, lane keeping assistance and auto emergency braking. This feature is now standard in the 2018 Touring model. Furthermore, automatic high beams are included in all 2018 models that have the EyeSight technology. Notably, all models for both years include reverse backing assistance and incline starting assistance. Some of the other safety features that are standard equipment for both model years are airbags, an engine immobilizer, child safety door locks, child safety seat anchors, traction controls, four-wheel ABS, daytime running lights, dusk sensing headlights, a rear center seat three-point seatbelt, an anti-theft alarm system and several other features. The decision to buy the 2017 Subaru Forester or the 2018 SUV model can be seemingly difficult to make. There are only a few differences between these two model years. However, the updates for 2018 are substantial, and they can improve your driving experience in multiple ways. Test driving different trim levels for both model years at Flatirons Subaru serving Boulder Fort Collins Denver is a good idea. During your test drive, your salesperson can tell you more about the features and about any sales or promotions that may currently apply to your new vehicle purchase.